For consumers looking for their own eco-friendly portable private paradise, Christie's International Real Estate is about to make their impossible dream come true. By teaming up with Amillarah Private Islands and Dutch Docklands, a developer focused on building on water, Christie's plans to develop custom-made and environmentally sustainable islands for customers anywhere in the world. 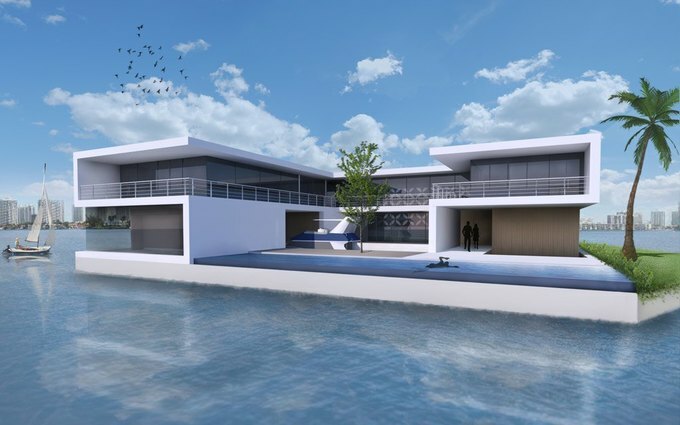 Dutch architect Koen Olthuis, who Time calls one of the world's most influential people, has designed several prototypes for the islands (which are more like fancy houseboats). The structures are completely self-sufficient, resistant to rising sea levels, and even create an underwater habitat for ocean species. Ronde Island in Grenada has a price tag of $100 million. People who buy private islands call themselves "isolamaniacs." Some islands such as Chandler Island in Maine sell for only $40,000, which is far below the expected millions or the price of a house in many cities.